Eddy Kenzo gives a speech defending his English. Photo by Paul Ibanda. 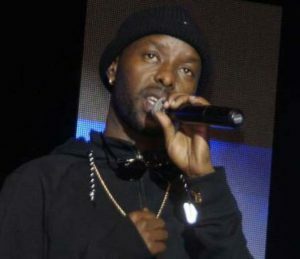 It was fan and laughers during the recent Uganda Entertainment Awards at Serena Hotel in Kampala recently when sensational singer Eddy Kenzo Musuuza was given chance to thank fans and revelers at the event. Upon receiving the microphone from the MC, the former BET award winner instead decided to narrate his education journey and his limited masterly of the Queen’s language. “You all know me but few know that I know English. When you look at my education background, you will appreciate my English. I was born in Masaka where Luganda was the language at school and home. I joined primary and ended in Primary Three to take on my football career,” Kenzo said. After many years, I got a chance to join Lubiri SS on a football bursary and because I was mature, I feared to tell the headmaster that I had stopped in P3. I instead told him that I was in S3. I had to skip classes from P3 to S3 after many years of being out of school,” he added. He said that the public should not expect him to speak English as if he is a Makerere University graduate. “The English I know has made me move to over 90 countries. I have also made many friends,” Kenzo said.